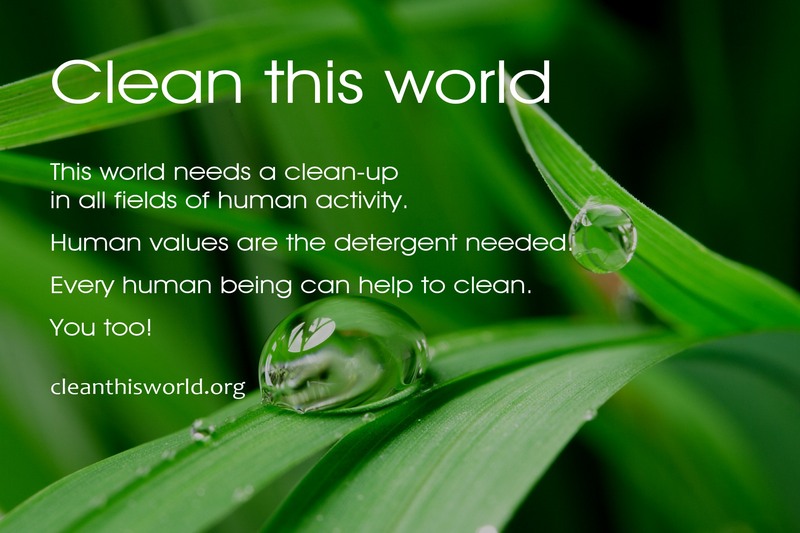 This world needs a clean-up in all fields of human activity. Human values are the detergent needed. Every human being can help to clean.